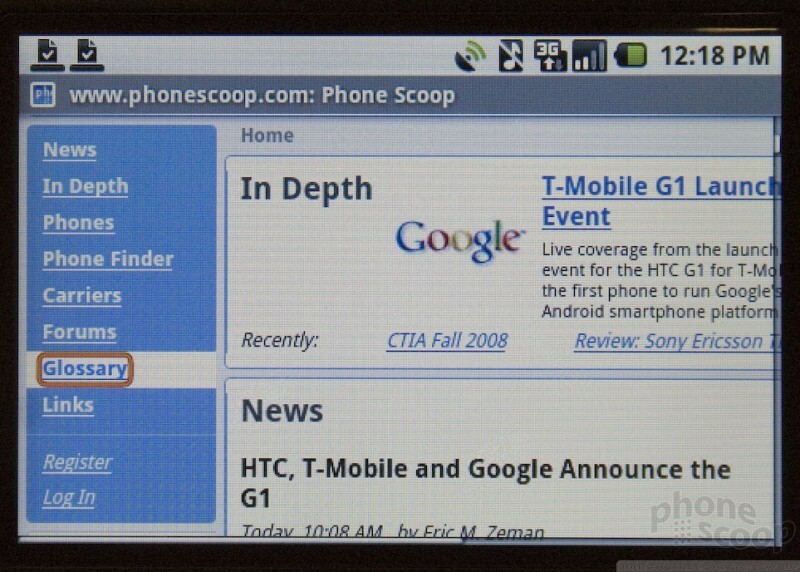 Hands-on with the T-Mobile G1 from HTC, the first phone to run Google's Android smartphone platform. 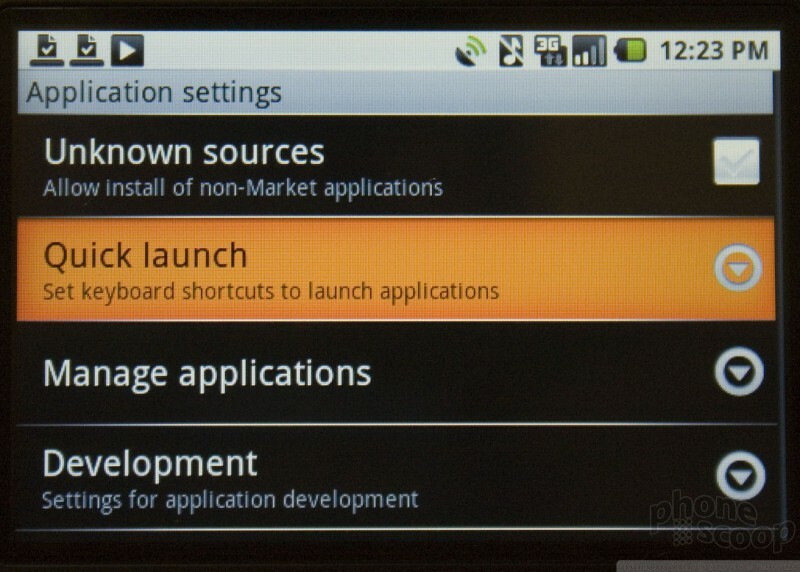 Plus hands-on with 3rd-party applications. After waiting nearly a year, we finally had the chance to really take a look at the new mobile operating system from Google. 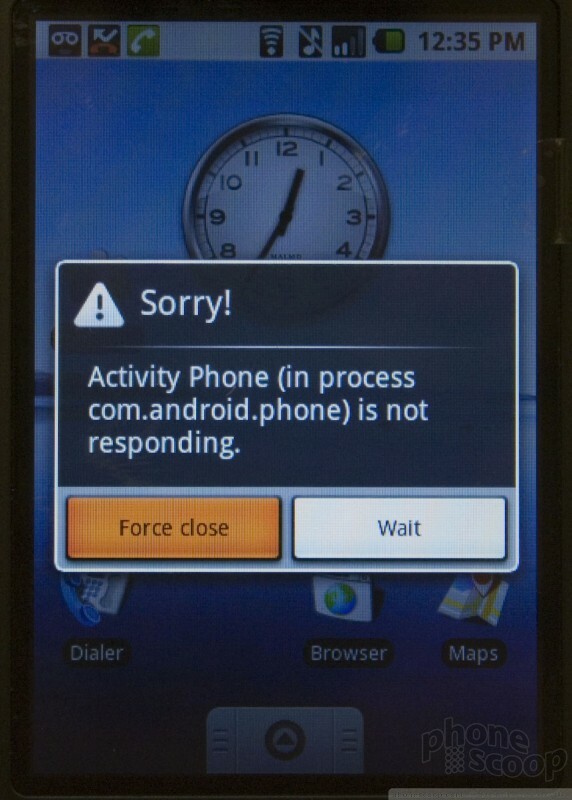 Android is a clean operating system that needs some polish, but shows a lot of promise. 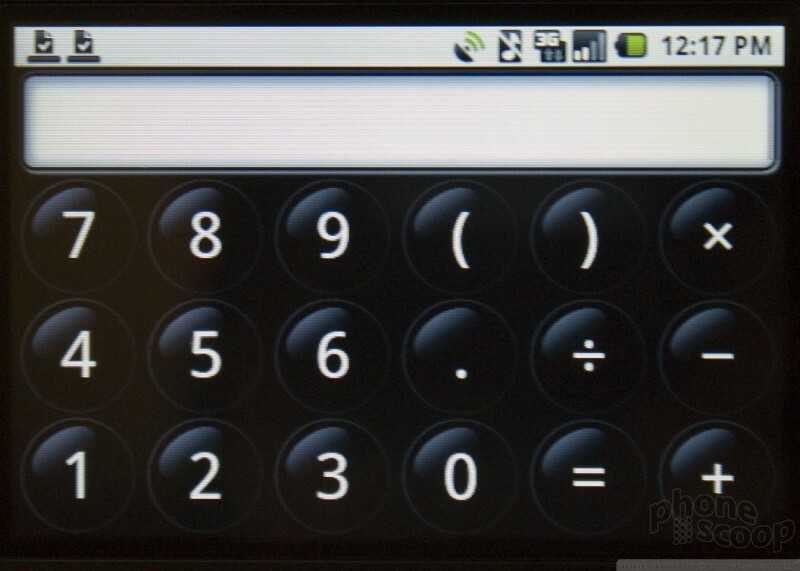 Android is easy to use. There's no doubt. It may not be as intuitive as you-know-what, but it nearly is. 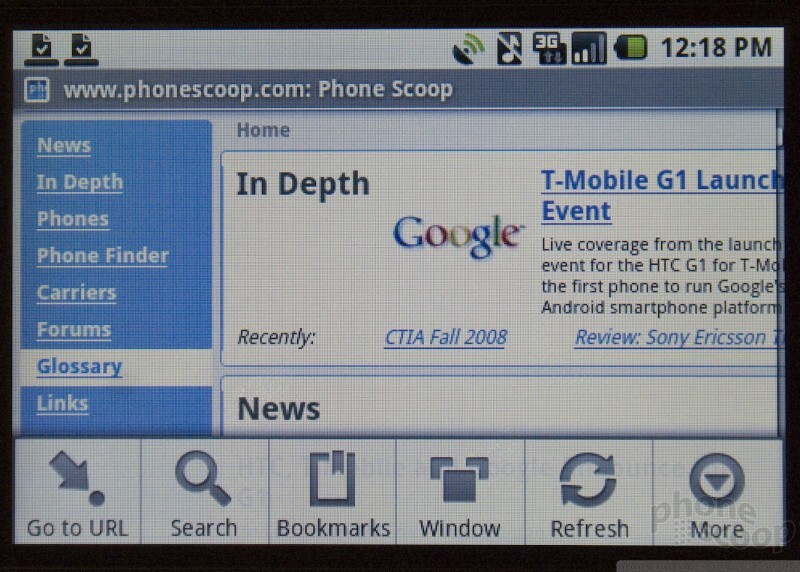 Using the touch capacitive screen to interact with the phone via swiping motions comes naturally and works well. The UI is responsive, and fast for the most part, though we did notice some lag every now and then. 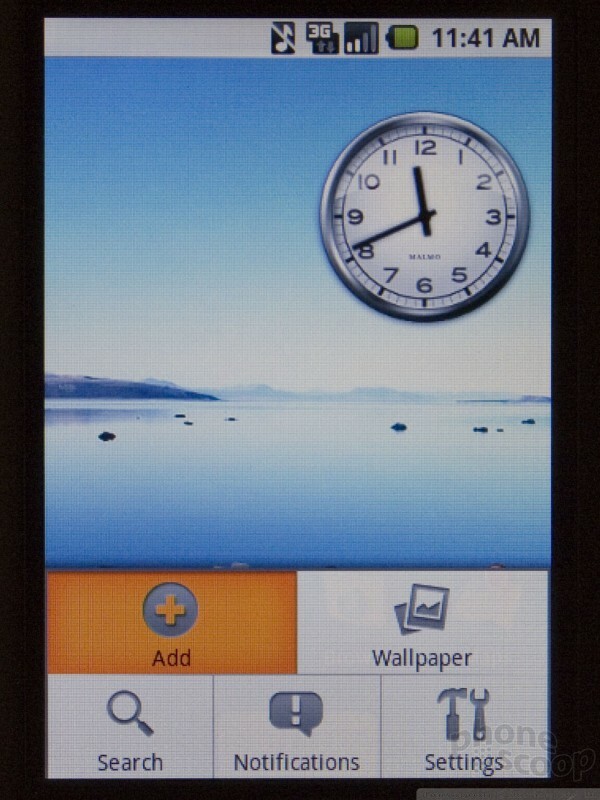 The default home screen has a clock resting at the top, and four application icons sitting at the bottom. This screen is entirely user customizable. 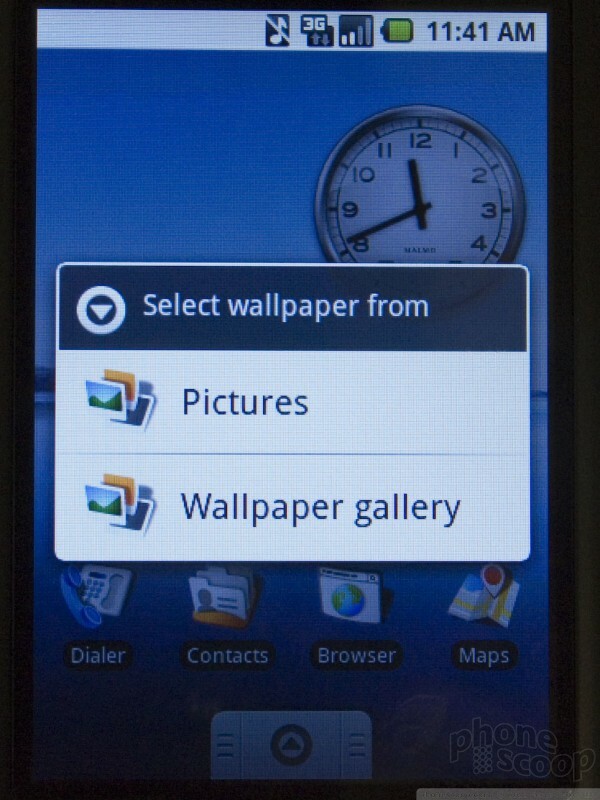 Pressing and holding the home screen will bring up the tool that's used to customize the home screen. It offers a bunch of choices. 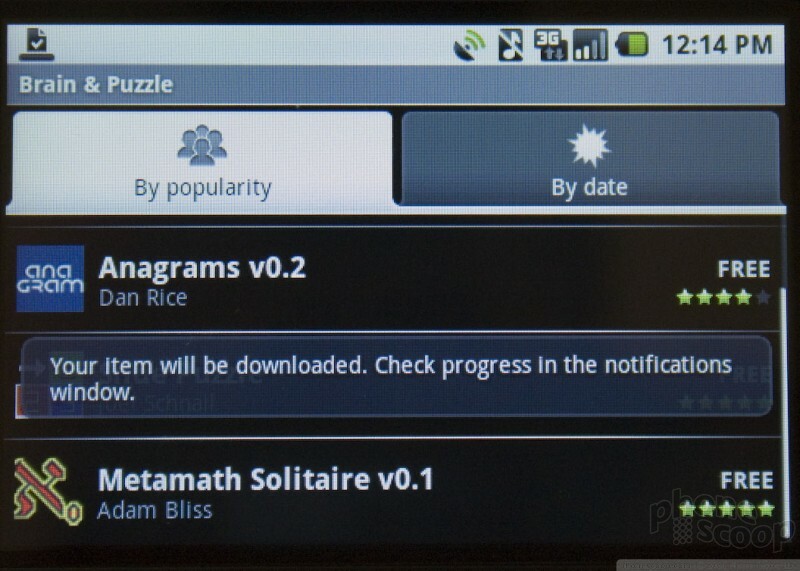 You can add, delete, or move icons, application shortcuts, bookmarks and widgets at will. This means you an make the G1 you own. 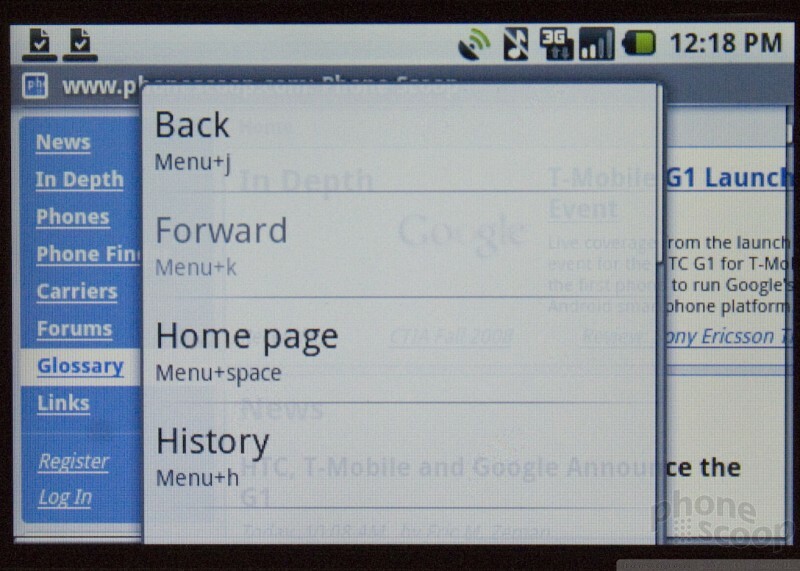 You can also swipe to the left and right to access "extra" home screens, which can be used to house other shortcuts, bookmarks and so on. Anything on the center screen can be moved to one of the other screens, or removed entirely. 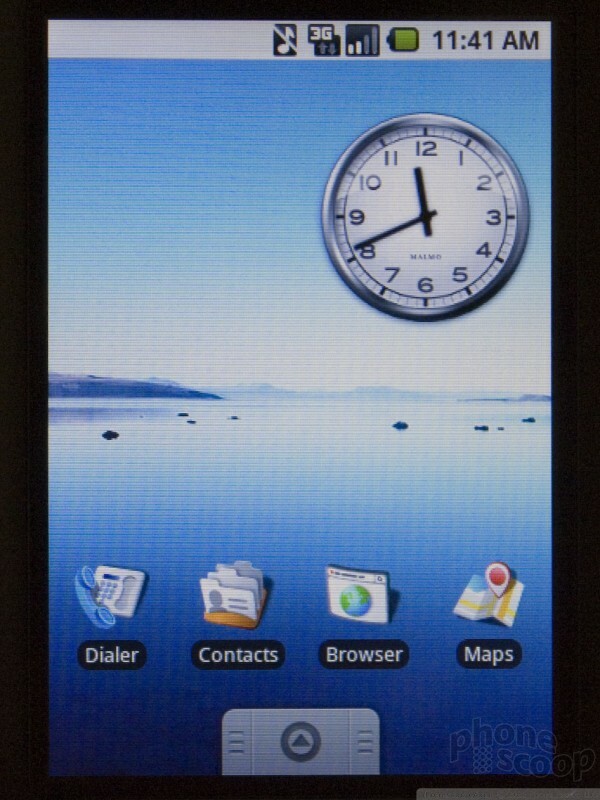 The drag-and-drop home screens are more like Samsung's TouchWiz than the iPhone, since it supports widgets and you can arrange things any way you want. 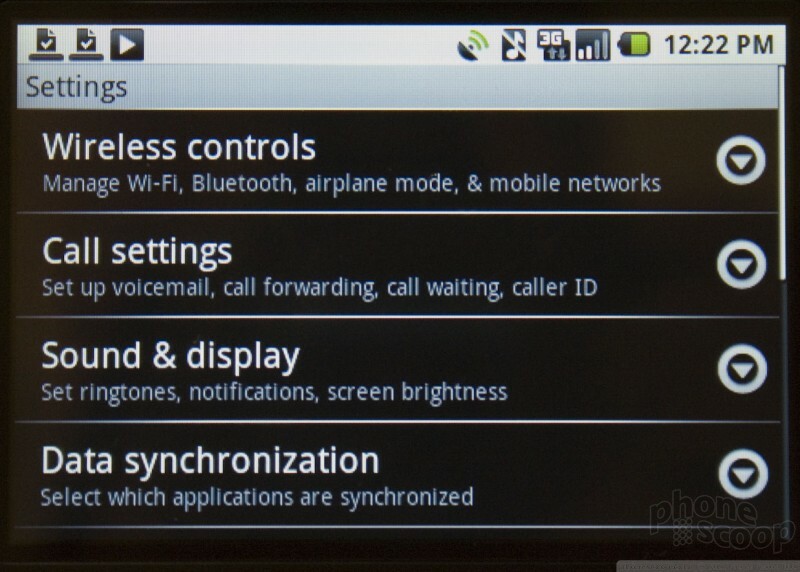 However TouchWiz can get crowded quickly, so the three screens will be much appreciated by power users. At the bottom of all home screens is a little dock bar. Swipe the bar up and the full main menu appears. This screen starts out filled with just over 20 icons/folders/applications. This let you tap into all of the phone's settings and is where you find pretty much everything. The menu appears and disappears quickly. On all screens, you can press the "menu" button to bring up an options menu at the bottom, specific to whatever application you're in. There's also a "back" key (which you need to be careful not to confuse with the delete/backspace key on the keyboard) and a dedicated "home" key always takes you back to the home screen (not the main menu). 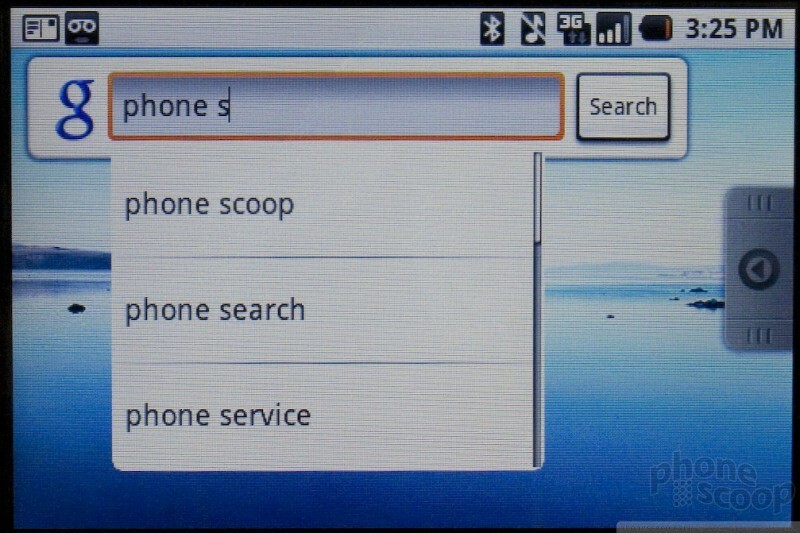 The main applications found on the phone of course are GMail, Google Maps, built-in Google search, contacts, calling, media player, camera, and a host of others. 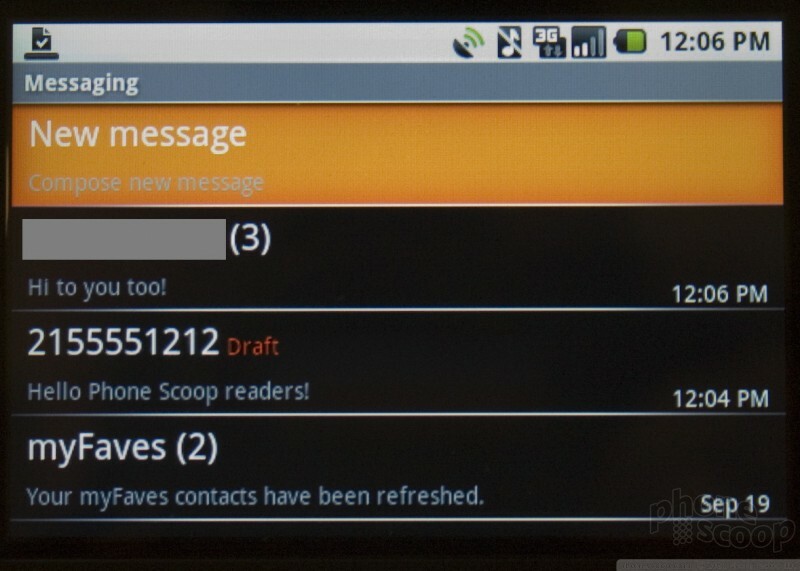 The messaging application is decent, and the G1 supports push GMail, plus regular IMAP. 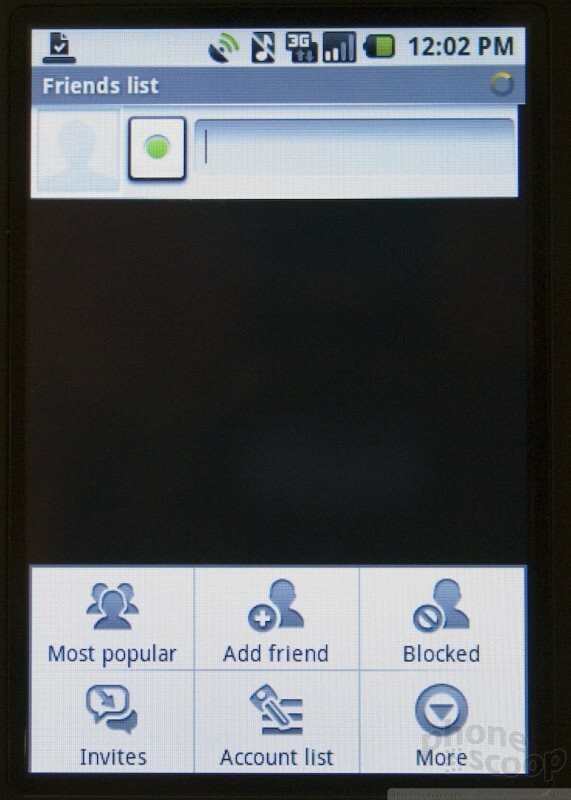 It also supports Google's version of presence, so you can see if your Android-using friends are online/available. 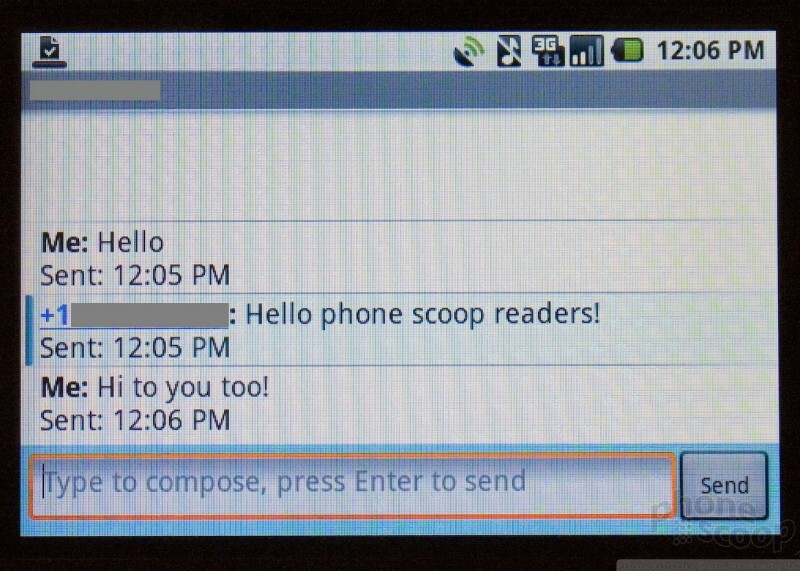 The threaded SMS app was easy enough to use, and showed SMS conversations in a pleasant way. 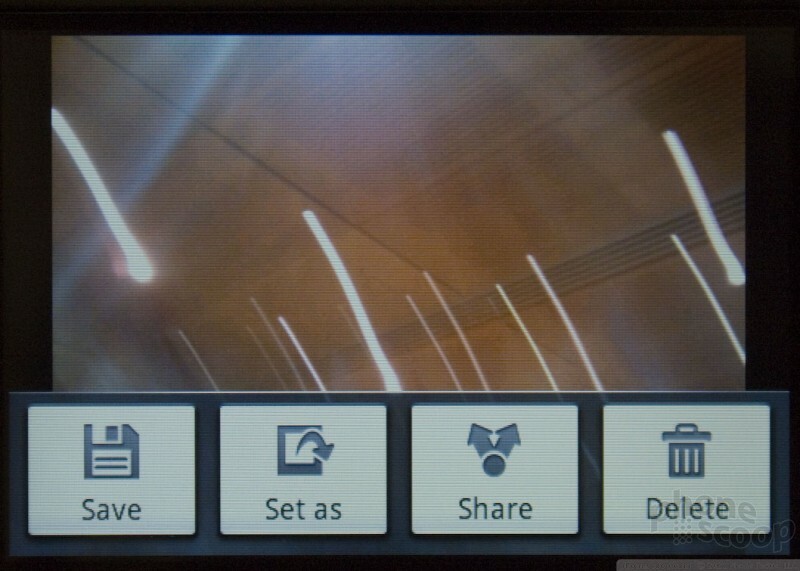 The camera user interface was a bit spare. You can make some adjustments to the camera settings, but I didn't think they were super easy to find. 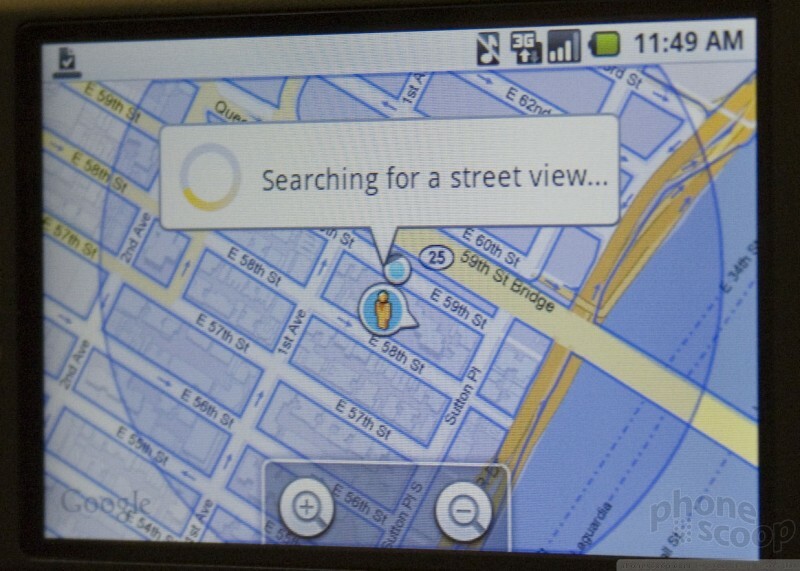 The Maps software was slow and buggy on most of the models we used, but the Compass feature is really cool. 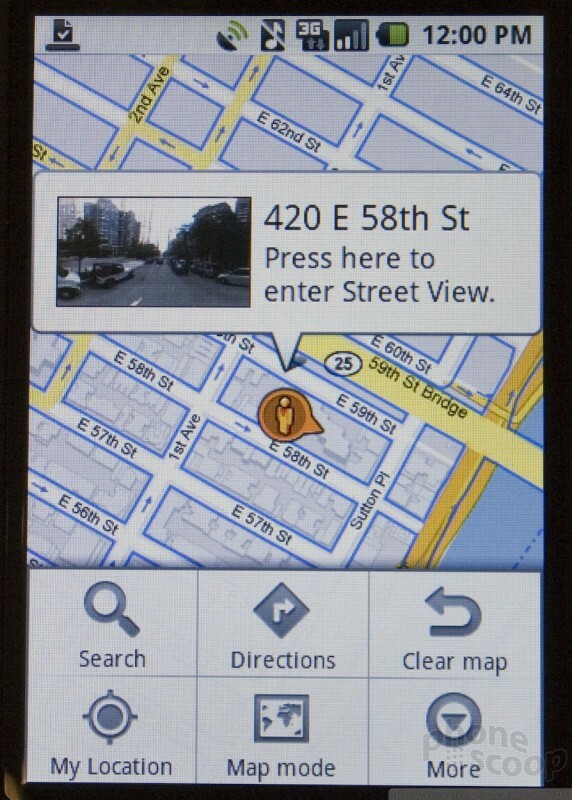 Combined with Maps and Street Views, you can see a picture of the destination you'd like to go to. 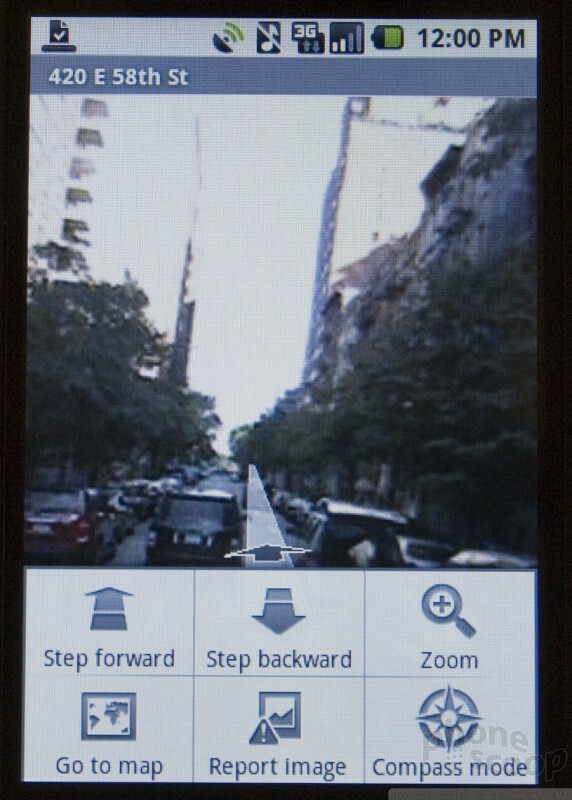 As you move the phone around, the accelerometer interacts with the Street View software and will show you all around the area as if you're looking through a movable window. You can pan around and look all over the place. It is pretty neat, when it works. Buying applications and music is well-implemented and super-easy. 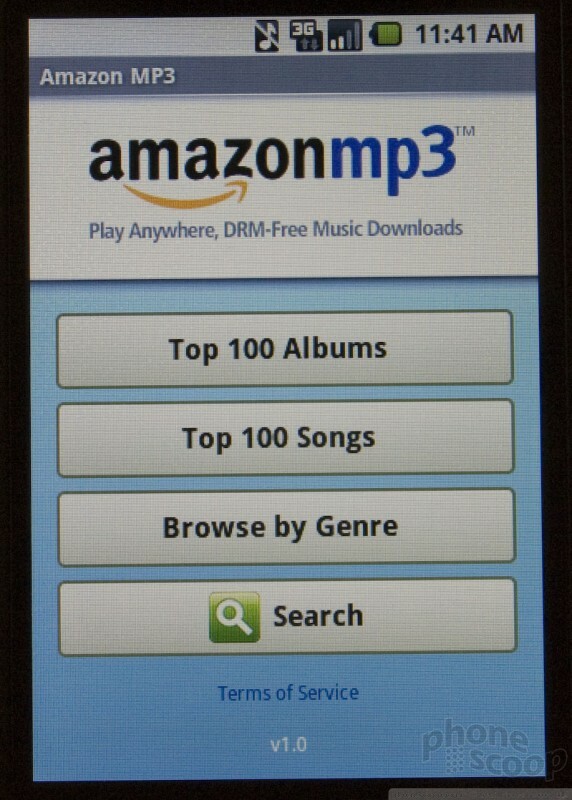 The app store will give Apple's a run for its money (perhaps lieterally), and Amazon's music store is equally well-designed. Download status is available through the robust notification feature. There's a small group of icons for this at the left end of the top status bar, which you can swipe down to expand for details. 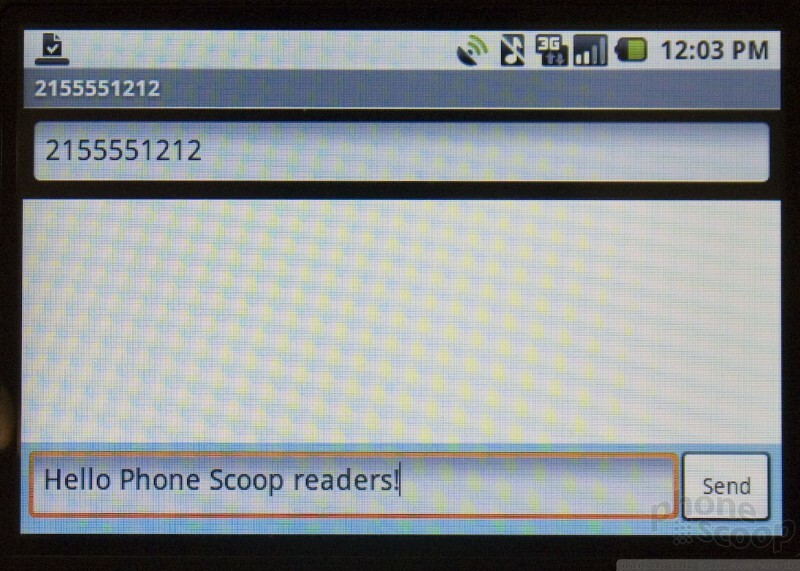 All applications can use this function to alert the user to something that has happened in the background. 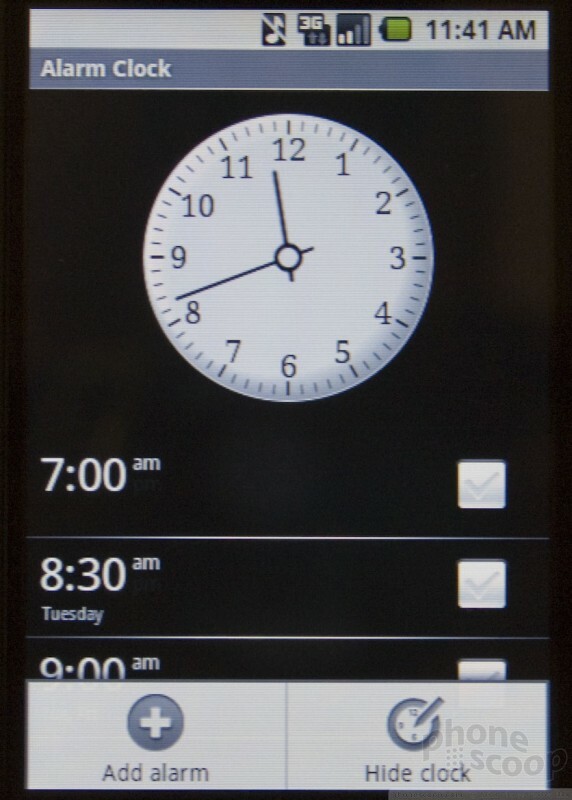 New alerts can briefly take over the whole status bar to display scrolling text. 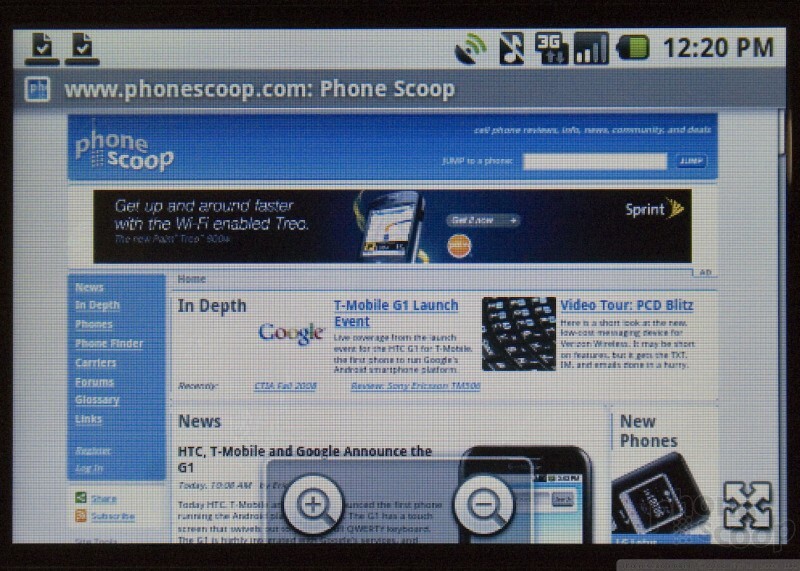 Speaking of applications running in the background, Android supports them! 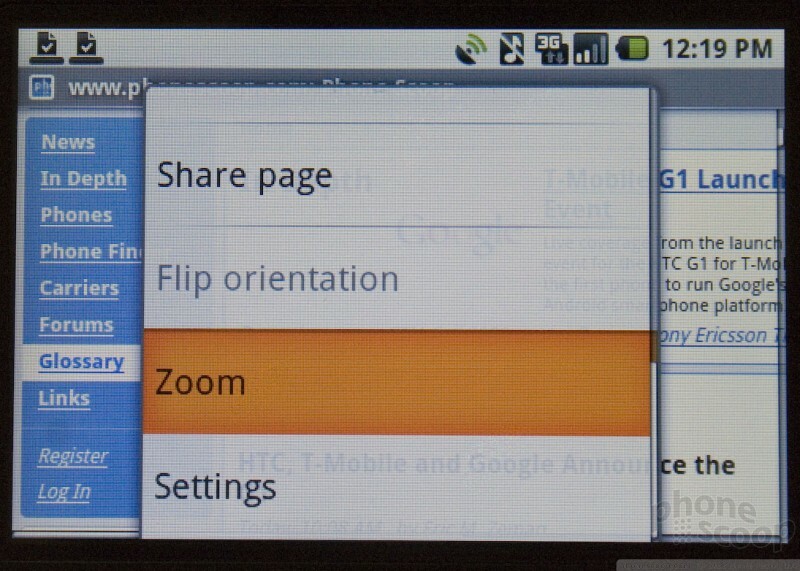 Unlike the iPhone, Android is a true multi-tasking OS, so all kinds of 3rd-party true push applications are possible. 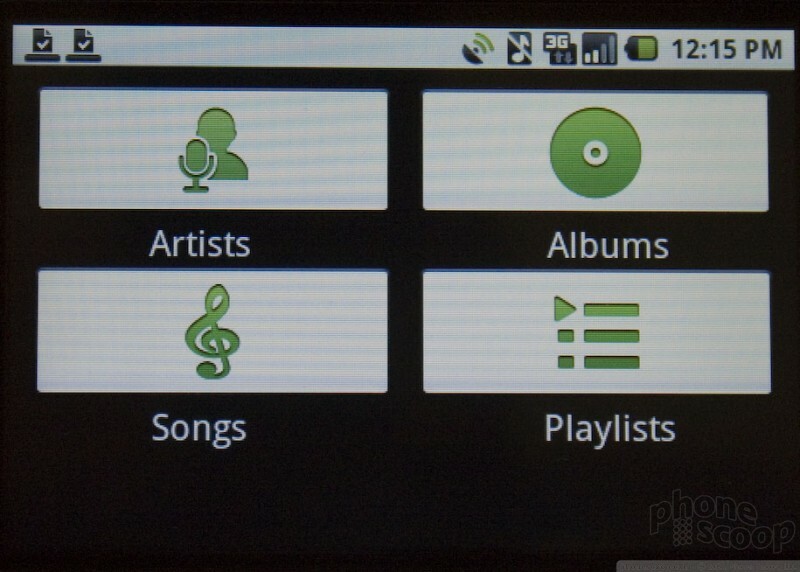 The music application supports basic things like playlists, but nothing too advanced. It does not support any kind of DRM whatsoever, which means music purchased from certain sources (like iTunes) will not play, although with the variety of incompatible DRM schemes on various other phones, this is almost a non-issue. 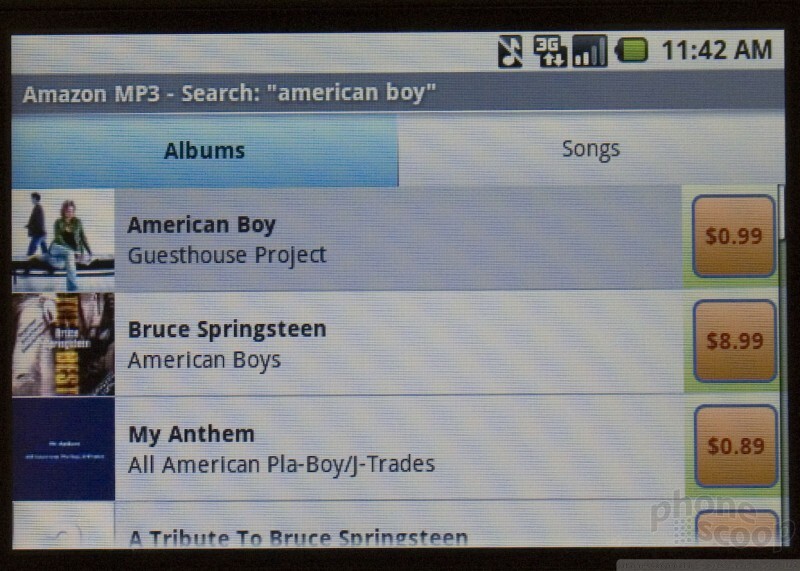 Naturally you can play MP3s, and since there are no DRM restrictions, you are free to use music for ringtones, etc. 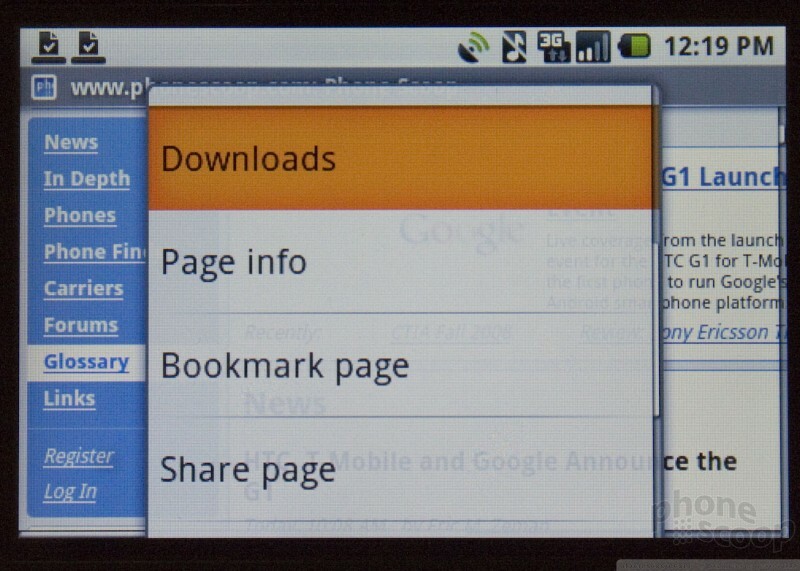 The browser is based on WebKit, like Safari and Google Chrome, although it is not actually Google Chrome. It does not support Flash, for example. It's a good browser, with good rendering, easy enough page navigation. 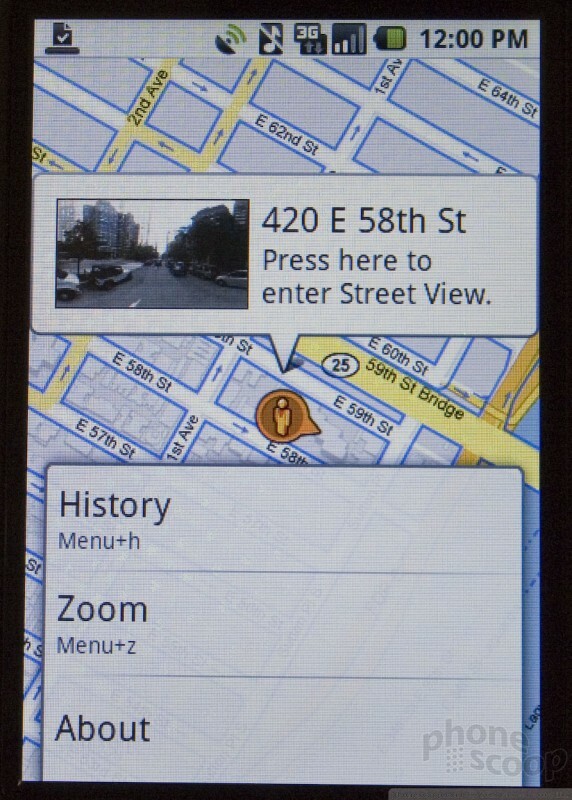 Zooming in and out is one area that's a tad cumbersome, although an icon in the bottom-right conjures up a zoomed-out view with a square "magnifying glass" area. Dragging that box to a new part of the page and simply releasing takes you right to that part of the page very quickly. It's a handy feature. The best parts of the browser are perhaps the parts that lie outside the browser, on the home screen. The Google search box on the home screen includes Google Suggest, which is like an ultimate auto-complete that uses Google's entire index of the web to guess what you're searching for - in theory - before you even finish typing it. Unfortunately, it's slow to start - sometimes taking up to 15 seconds to get going on a 3G network - but on WiFi it should be fast enough to be useful. Once it gets started, though, it's quite fast, even if you clear the box and start over. If they can speed up that initial lag in future updates, it could be a killer feature. 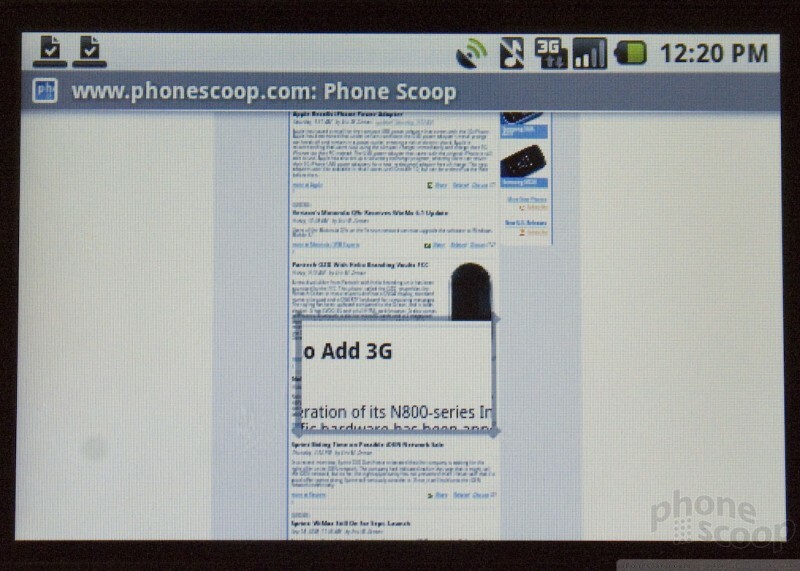 You can also save bookmarks from the browser directly to the home screen as dedicated icons, much like on an iPhone. 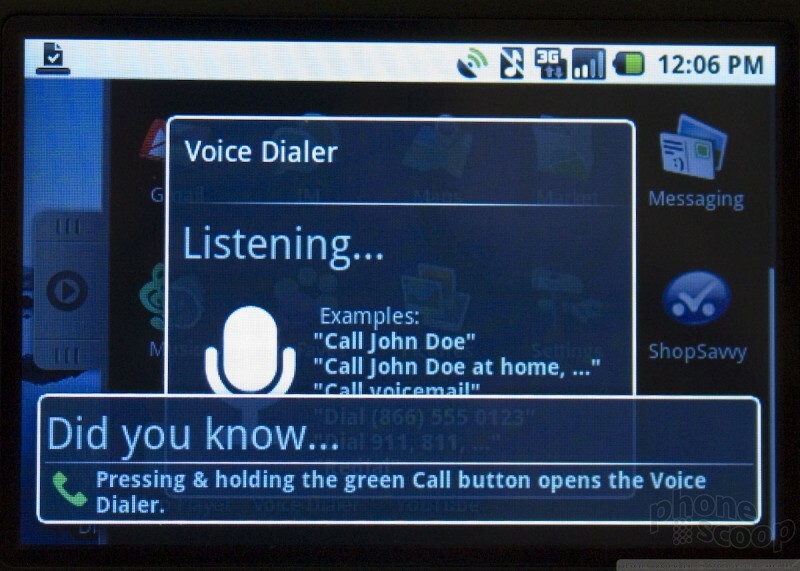 There is voice control, although it seems limited to dialing names in the contacts list. We did manage to crash an app once, although - like the iPhone - the OS is robust enough to shut down and/or restart just the one problem application gracefully, without freezing up the whole phone. Click "force close" and you can keep on working with minimal inconvenience. Overall, the user interface is very good. There are some rough edges here and there, but over time it will surely evolve and become more fine-tuned. The fact that the software will be completely open source means it can be upgraded over time, and plenty of new features and functions can be added. We have a host of videos showing you several different features and functions of the user interface. Be sure to check them out. Here it is. 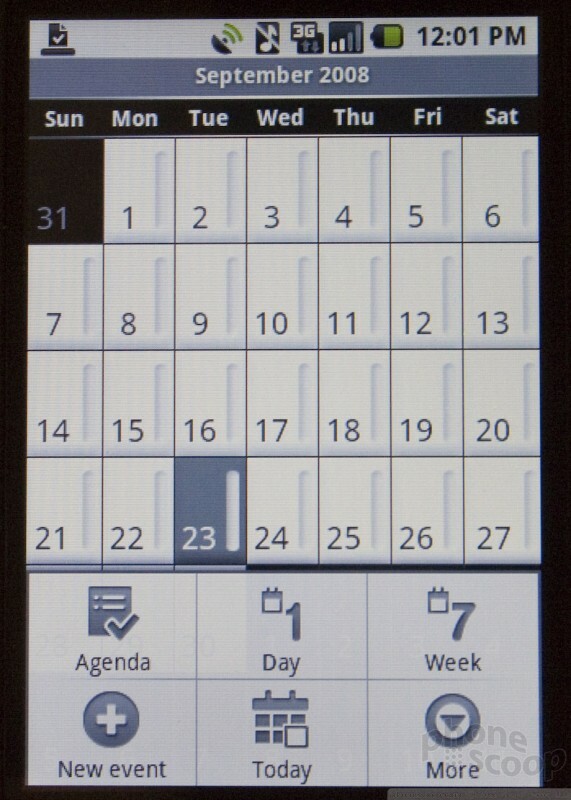 The "GPhone". HTC today announced its new flagship phone, the HTC U Ultra, along with a smaller version, the U Play. Both phones have a new design with colorful glass on the front and back, and a metal frame. Annoying think you know everything no substance troll. 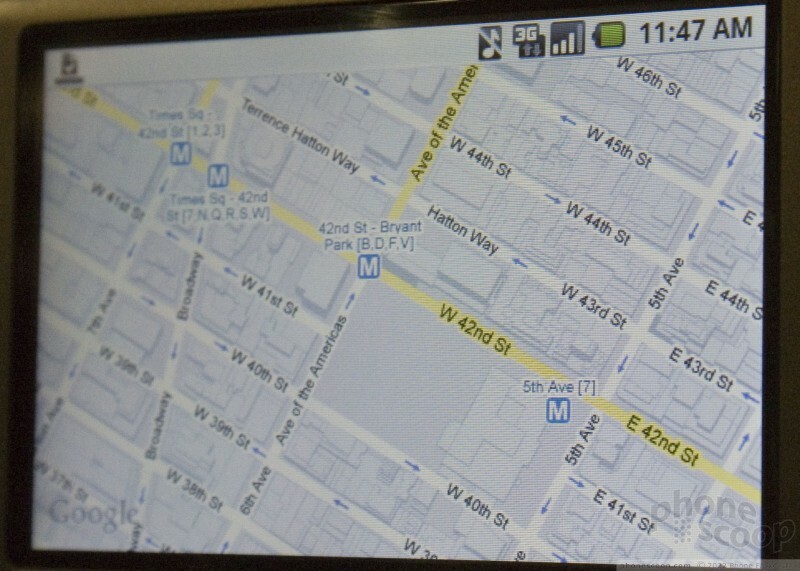 On 3G coverage, T-Mobile is rolling out 3G VERY aggressively in coming months. Uh, the Dare is a locked down POS running a POS OS with a POS touch screen. The Instinct is just as bad, though I hear they're going to add J2ME support... Wow, J2ME... holy cow. Install applications *not* through t-mobile app store? Perhaps the main reason I haven't bought an iPhone is the restrictive policies apple has about application distribution. As we have seen, apple has refused to distribute developers' applications when they don't like them, such as when they think they overlap with the built-in applications or when they might subvert Apple's or AT&T's revenue model. 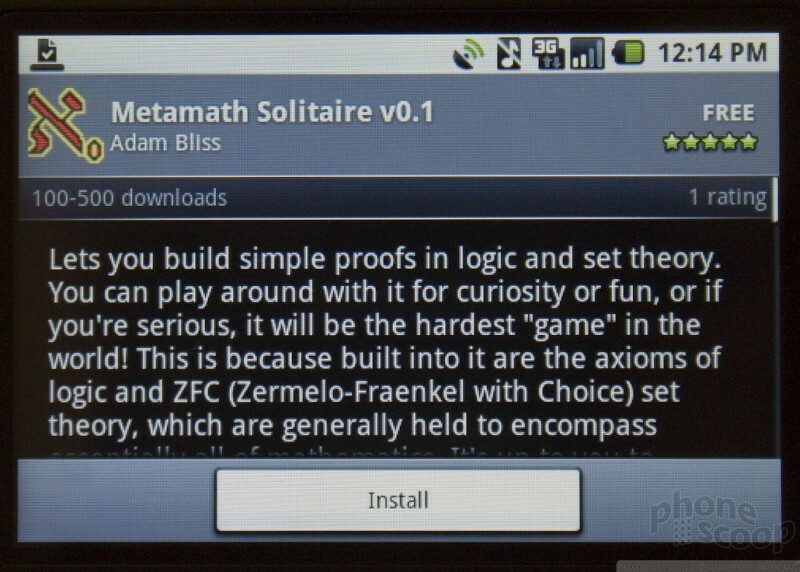 I read there will be an easy way to install apps outside of Adroid Market without jailbraeaking. Sorry, I can't find the source right now. Its not just the iphone all Apple products are like that. You can only put itunes on your ipod unless your smart enough to use limewire or know how to convert media. so it didn't surprise me when i heard about that. how does the g1 compare to the wing? I couldn't do a comparison of the two, as it is not yet up on phone scoop. I have a wing and love it, but I can get the upgrade..If it is an upgrade. you can only upgrade if you pre order it wont fully be a upgrade till novemeber. but i can go ahead and help you with that. really depends what your looking for.. So they did make a application that will let you have a on screen keyboard???? and has anybody tried to c if they could find accessories for this phone yet.....cuz i went on ebay and i couldnt find any....so any suggestions? 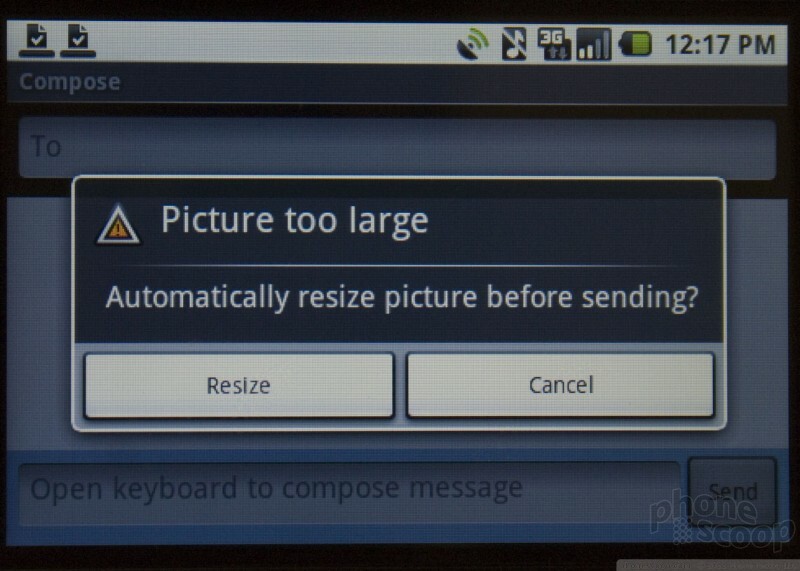 THE PHONE WONT SUPPORT SAVING A PICTURE FROM MESSAGES... 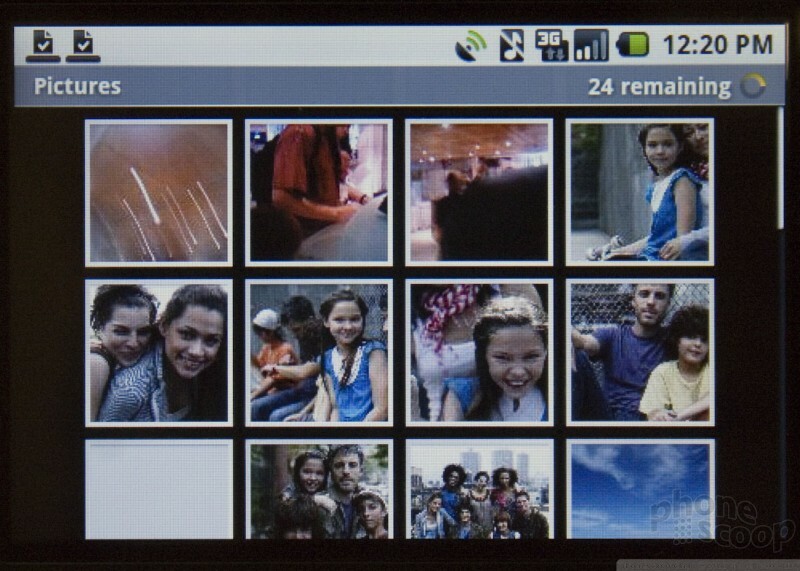 IT DOESNT GIVE YOU AN OPTION TO SAVE PICTURE MAIL PICS OR VIDEOS EITHER WHAT A JOKE! This whole thread is stupid. It's true. 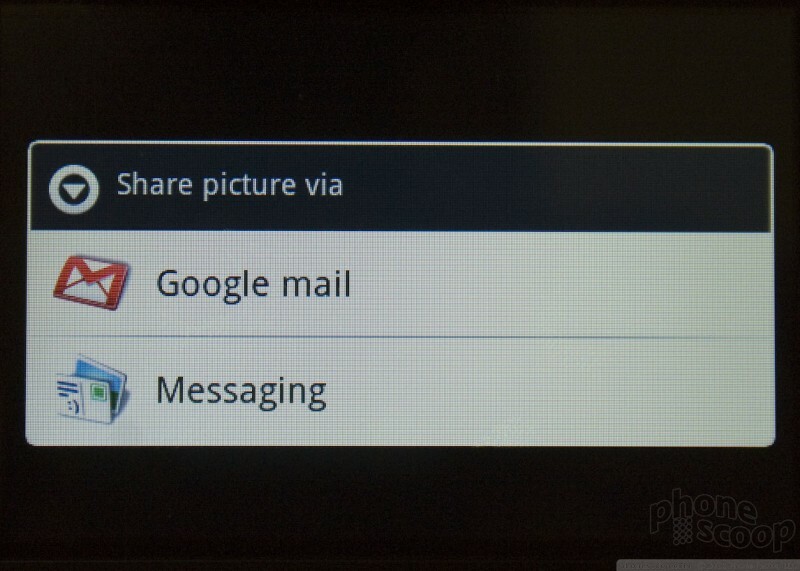 I have one, and don't see any way to save photos received via MMS. Really depends on file size but you can hold up to 400 songs on a 1 gb if you only put strictly music. Maybe more. Just depends if you adding album art with it, and the format of the song. also is there a video viewer for watching stored movies? It comes with a 1 GB microSD card and can accept up to at least an 8 GB card. How many songs you can fit into that much memory depends on the file format, compression, and length of each song. i dont think it does just yet but it definitely will. Out of the box the phone doesn't support stereo bluetooth because google had issues with it. But they have said it will be added in a future update. No, at least not at launch. 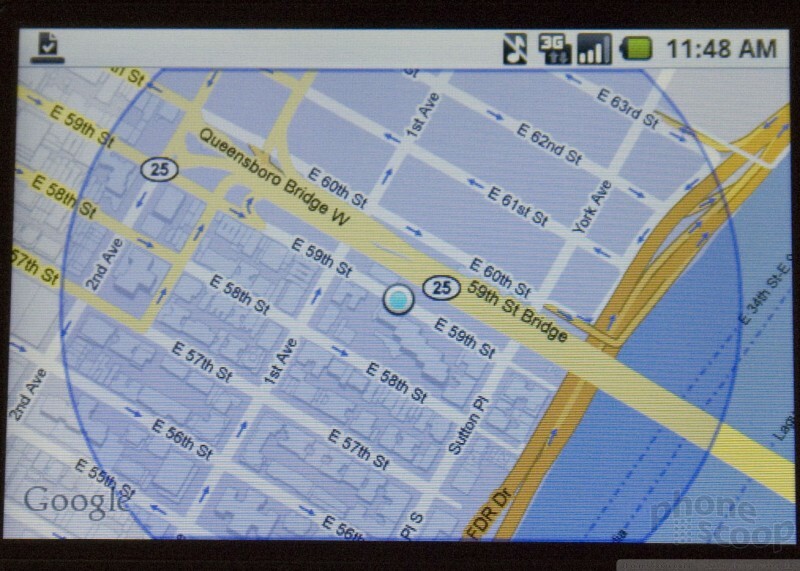 Hi, what Bluetooth profiles does the G1 currently support? 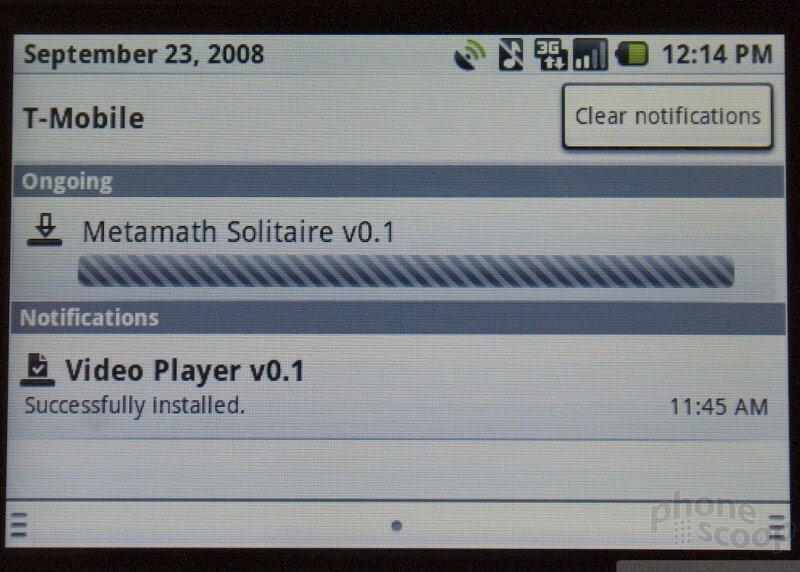 The only thing I've found is that it "supports Bluetooth 2.0!!!!" Lovely, but what can I do with it? Headset and handsfree. That's it. 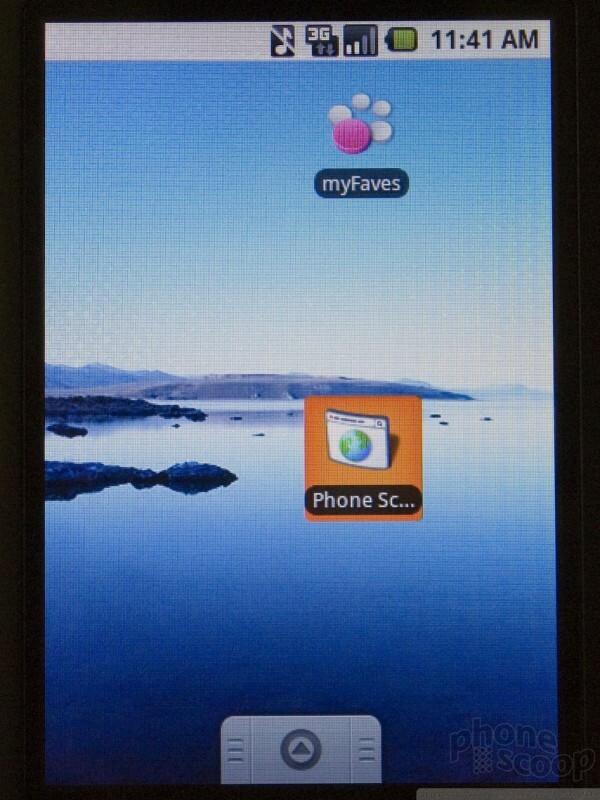 The phone won't work without a Google account, and I think that set-up step requires T-Mobile data service. I don't see a wi-fi option during that first step. You can't even power it up fully without a Google account set up and linked to it. for the most comprehensive and factual review of the G1... and for all the photos and video. There's been a lot of hype over this launch, and lots of fanaticism for and bashing of this product on other sites. I appreciate your factual product presentation. 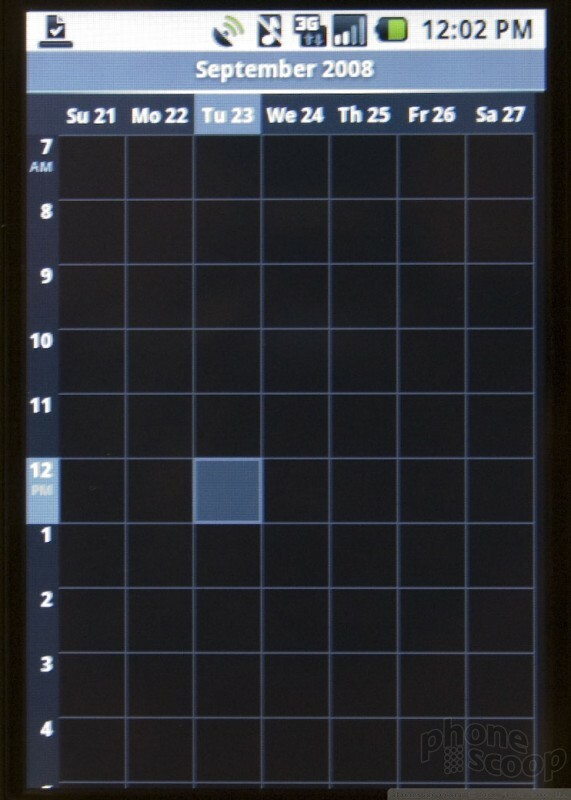 The G1 appears to be very much what it is, an early product, a bit rough around the edges, but with the capability to grow as the OS gets updated and apps are developed. I can live with the adapter for headsets, though that WAS a stupid decision by HTC. 😁 I preorderd mine friday.And I Do not care what kind of plug in it has for the headset!That's why I bought a blu tooth wireless headset.As like you I can not wait till 10/22!! 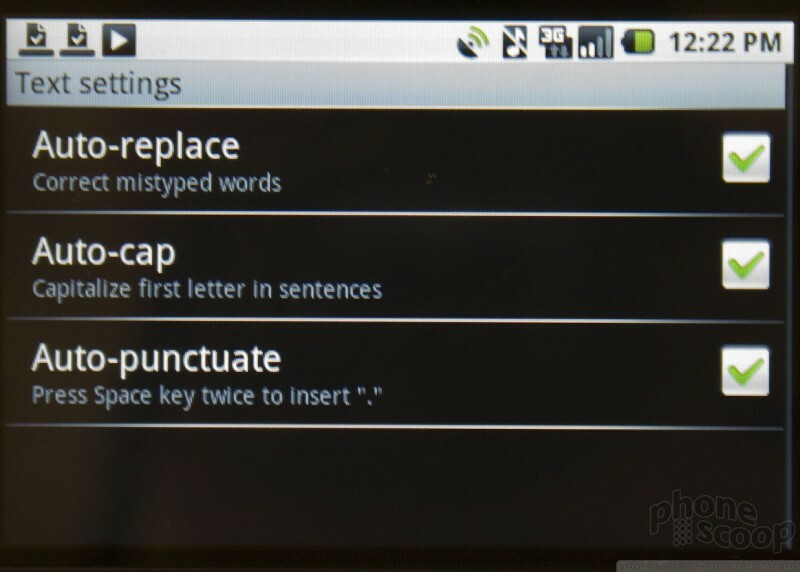 Too bad it's made by HTC - so what's the point? 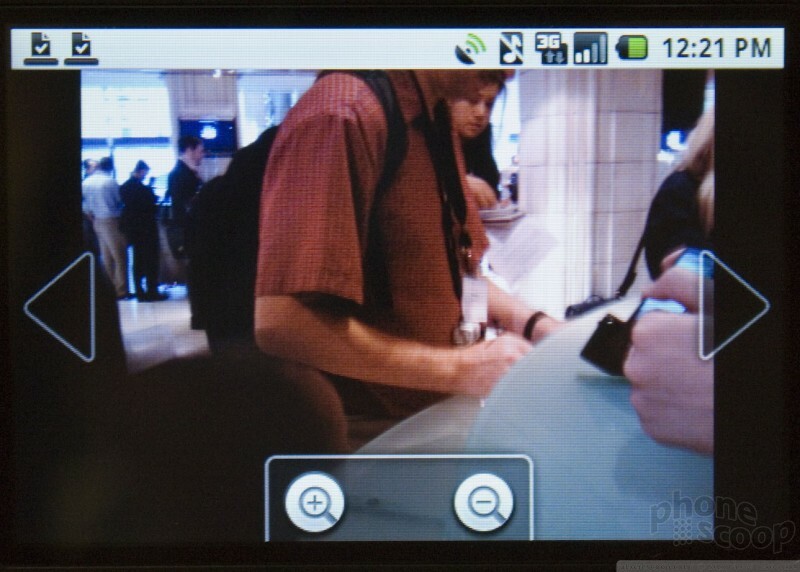 HTC (Heavy Taiwanese Crap) devices always seem glitchy as hell and have really shoddy build quality. The devices made to other manufacturer's specs seem to be solid enough (Palm), but I'll never live down the POS Apache or Mogul. The real problem is that this device looks like a 'prototype,' not a finished product. I'm not even sure what its purpose is.... the business crowd is going to want a Blackberry, the trendy crowd is going to want an iPhone, and the super-nerds are going to want WM crap. This "Super Nerd" wants a linux based phone that I can hack. 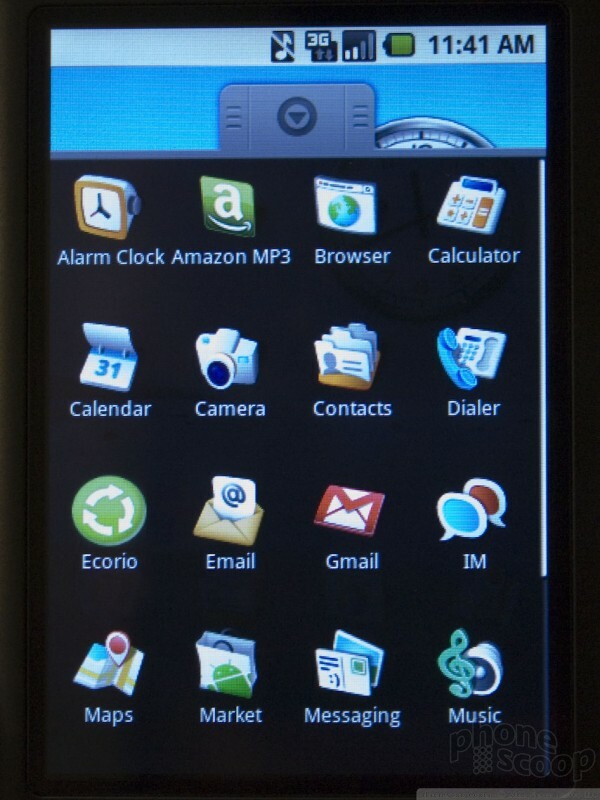 This phone will be for the nitch market its intended. 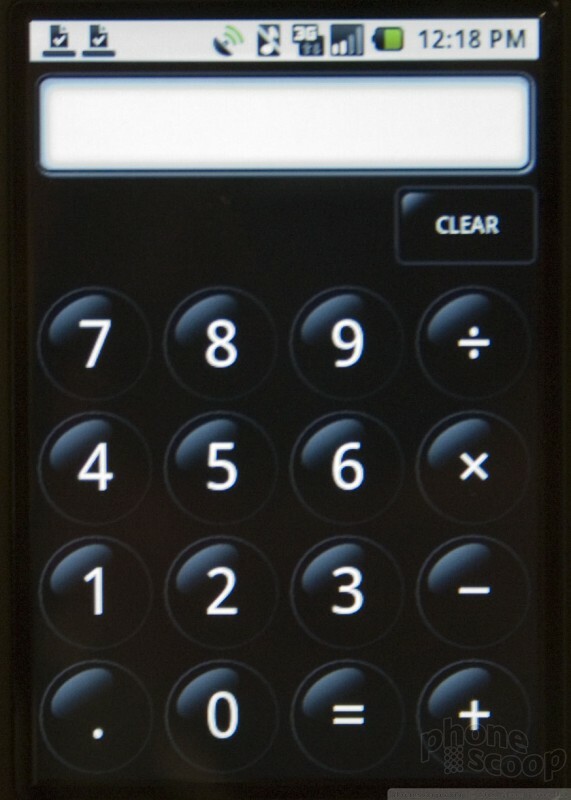 I never had to "calibrate" my iPhone's screen. It worked perfectly out of the box. Will it have a multi tap touch screen? 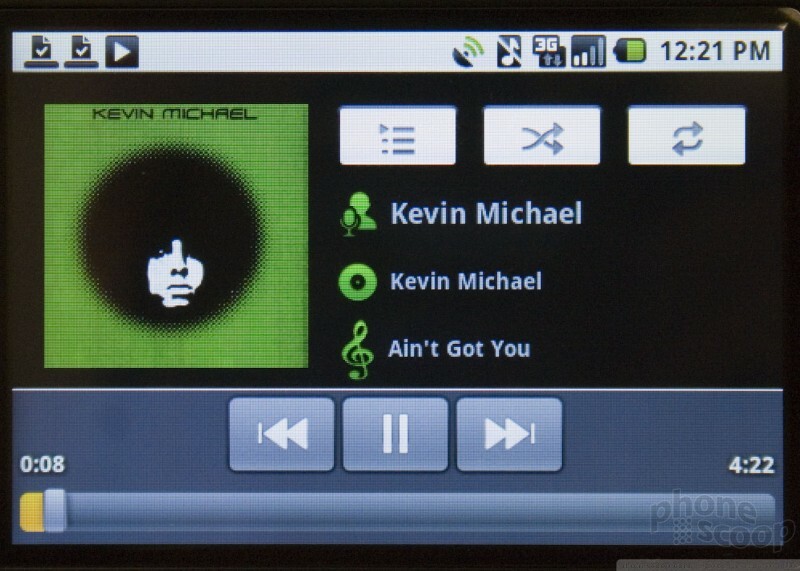 I want to know if it will have a multi tap touch screen like the iphone. This function allows the iphone to do cool things like shrink and expand pictures. This will open a lot of doors for writing 3rd party apps. does anyone have any feedback??? Yes and no. 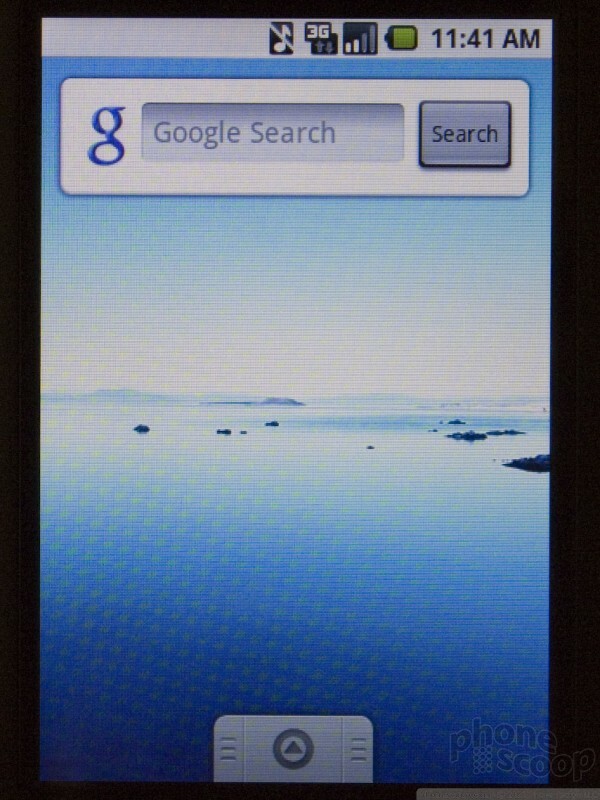 From what I have heard apple has the patent on the finger thing with the pictures, so google would have to pay apple. But it does have double tap just someone would have to write an app to use it. Since this is a google phone, it must be able to access youtube? Yes there is access to youtube through the youtube app. Its not available through the browser though. i thik flex pay can pre-order???? today i logged into my sisters flex pay account and it was letting her pre-order the g1 she just had to pay for it on the spot instead of being billed for it. is it a glitch or can she really order it? From what I have heard flex pay cannot preorder the G1. what day will it actually ship? If you preordered the phone you will receive it on or around the 22nd. It will be on my doorstep bye 10/22.Yay!! This is looking very promising so far. The phone looked pretty speedy in the demo videos they showed but we will see how fast it really is when actual videos come out. 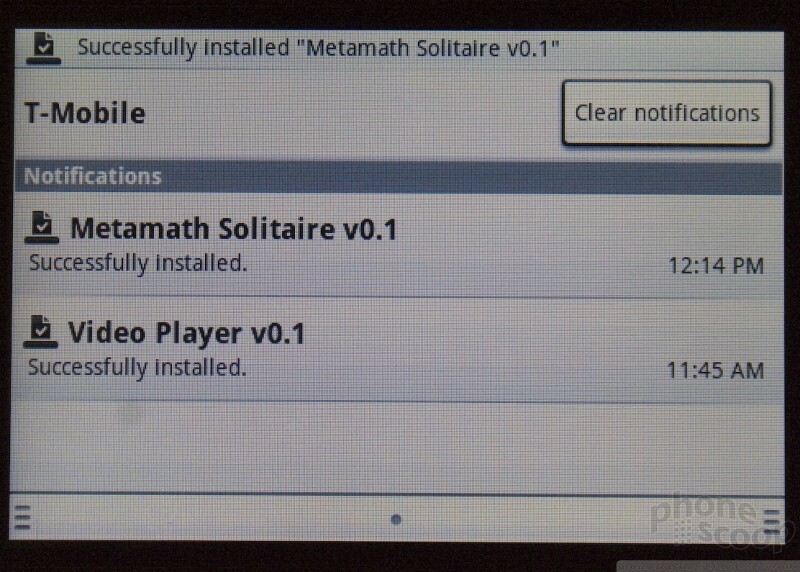 Hopefully they add some sync options before launch and allow tethering some time soon or come out with a 3G aircard. 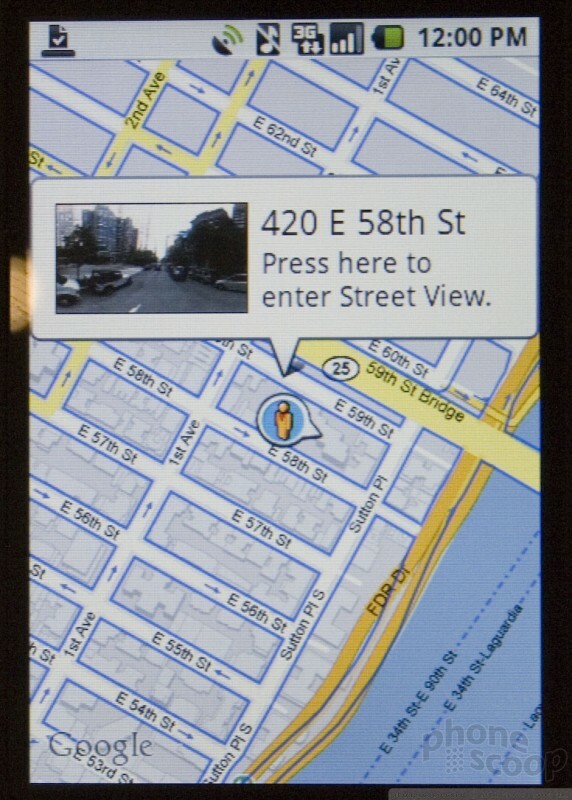 I am very excited to see what types of apps people come up with and what apps will come preloaded on launch. Otherwise this looks very promising! im most exited to see what they do with the acceleromitor apps!!!! What good is this device if you get no service? T-mobile network is very unreliable!!! That's an old fable. T-Mobile coverage is excellent as of late. I'm so tired of hearing this s**t about coverage. People are hating on T-Mo and have never used the service. not our fault you owe t-mobile money. pay your bill next time. or maybe your riding the verizon train. If i put out enough advertising that says dog crap has vitamin c, you would buy it. I've been with T-Mobile since 2002, and I will agree that penetration into buildings is spotty (just like any high frequency system like Sprint), but outdoors I no longer have any problems. 👿 Sounds to me like someones a little jealous.That they've already wasted their money on an already outdated iphone 3G.Waiting on 10/22 to get here.Peace!